It’s that time of year again. And with the beginning of every flu season, misinformation and myths about the flu vaccine begin to circulate, making it difficult to dissect fact from fiction. So why should someone consider getting vaccinated against the flu? “Statistics show that influenza (flu) is one of the major causes of illness and even death during the cold season, way more than the number of cases we’ve seen with Ebola, West Nile and Zika viruses combined,” said my colleague Goddy T. Corpuz, MD, FAAP, pediatrician at Baylor Scott & White Clinic – Cedar Park. Influenza virus infections are associated with 3,000 to 49,000 deaths in the U.S. each year, and although 90 percent of flu-associated deaths occur in adults 65 years of age and older, influenza also kills a couple hundred children each winter. Why does flu vaccine effectiveness vary from year to year? Some people question the effectiveness of flu vaccination, but it is important to note that flu vaccines saved approximately 40,000 lives over nine recent flu seasons in the U.S. from 2005 to 2014. Because flu viruses are constantly changing and there are typically up to four circulating flu viruses out there, it is difficult to create a vaccine that matches them all. “Researchers work very hard to look at yearly data to try to create a vaccine that best matches the predominant circulating viruses for each season,” said Brigitte Ngo, DO, a family medicine physician at Baylor Scott & White Round Rock West Clinic. Influenza viruses are constantly changing or evolving with new mutations. When a flu virus changes so much that our immune system can no longer recognize it, we can get infected again with a new flu virus which can happen throughout our life. There is a global network of laboratories that test the flu viruses year round in both the northern and southern hemispheres to see what changes are happening in the viruses that are infecting people and what new flu virus strains need to be included in the next season’s vaccine. Since the decision to include virus strains is made in February each year for the next fall’s vaccine, sometimes one or more of the viruses change after the vaccine strains have been selected. The vaccine effectiveness depends on a good match between what is included in the vaccine and what is circulating in the communities. During the seasons when there is not a good match between the vaccine viruses and the circulating viruses, the vaccine effectiveness can be low. Why do some people not feel well after receiving the seasonal flu vaccine? “Many people often get mild reactions that are often mistaken for the flu itself,” Dr. Ngo said. When the flu vaccine is “taking,” a person may experience localized soreness in their arm, redness, swelling and tenderness to touch at the vaccination site, low grade fever, muscle aches and headaches. “It is important to reassure patients that this is not the actual flu illness, but due to their body mounting a strong response to the vaccination,” said Darin McDonald, MD, a family medicine physician at Scott & White Clinic – Belton. 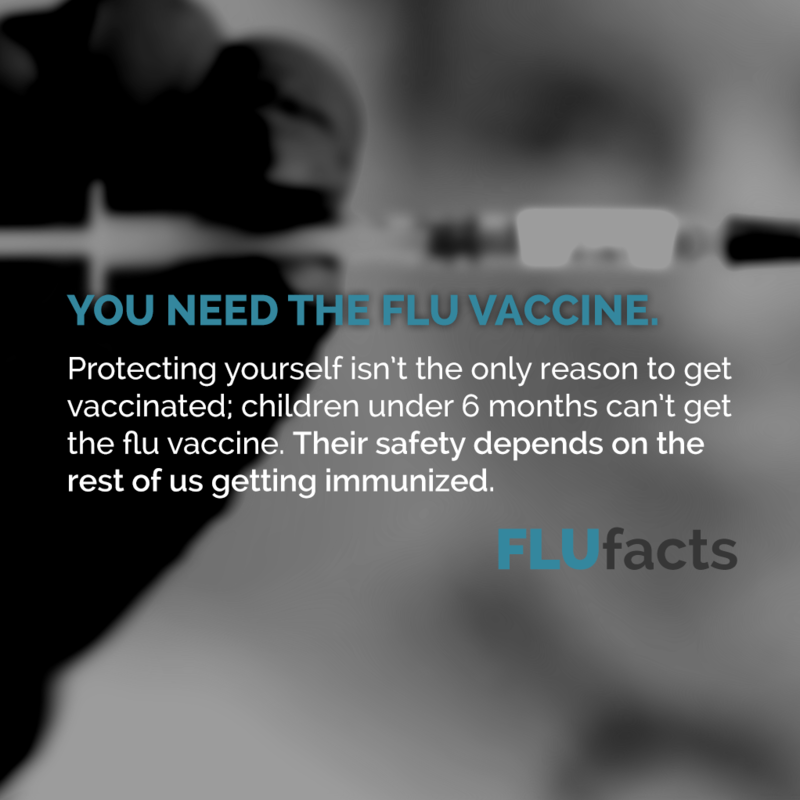 Everyone’s immune response to the vaccine is different, and while a small percentage might experience brief discomfort, protecting yourself isn’t the only reason to get vaccinated; children under six months can’t receive the flu vaccine. Their safety depends upon the rest of us getting vaccinated. Many others, including the elderly, those with weakened immune systems, people with chronic health conditions like diabetes, asthma, or congestive heart failure, and those with life-threatening allergies to ingredients in the flu vaccine, are susceptible to transmission of influenza viruses. This is why the concept of herd immunity is particularly important. Once enough people are immunized, an outbreak becomes significantly less likely. If enough people aren’t immunized and someone gets sick, the disease can spread. Even if you are feeling okay, you could still be a carrier of the influenza virus. This is why washing your hands with soap and coughing into a tissue can help prevent transmission. If you think you have the flu, avoid areas where you might infect others and stay home until you are fever-free for more than 24 hours. 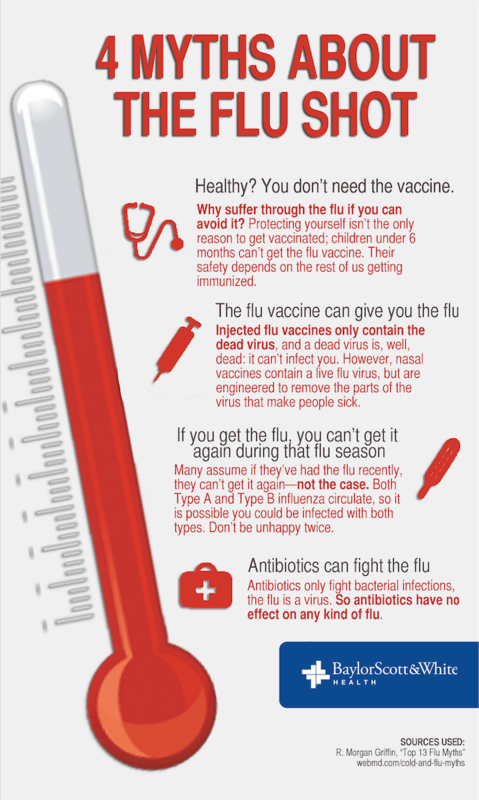 Flu vaccination is covered by health insurance, often at no cost depending upon where you go. See an illustrated cartoon of how vaccines work.